Cape Town was one of the best parts of our trip in South Africa. Maybe because we did some of the things we like the most, staying out in the nature and also enjoying a nice swim, with a perfect summer weather. 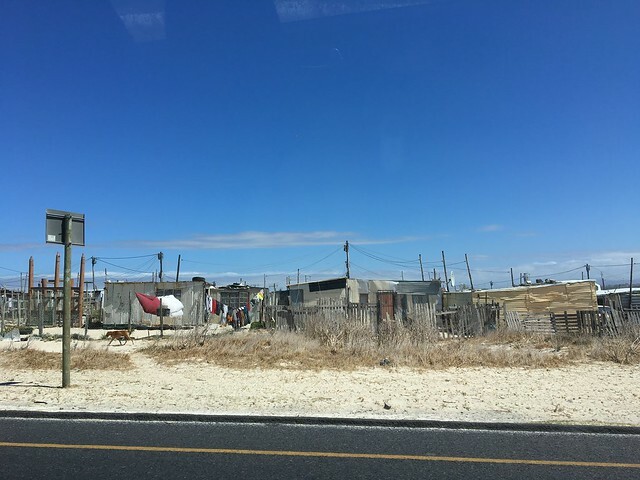 We stayed in Cape Town for 3 nights, but we were mostly out of the city all day, exploring its surroundings. Cape Town is probably the most vibrant city in South Africa. It gave me the feeling that I was maybe somewhere on the coast in Australia, although it does have, of course, like any other big city in the country, its rich and poor parts, well separated from each other. We drove to Cape Town from Sedgefield and had the chance to see a beautiful coast line, with clear waters that made me feel like jumping off a cliff directly into the sea (if the water was warmer, of course, which in reality it wasn’t:). Walking around the city can be a very nice experience, the riviera is indeed beautiful, but we chose to spend more time outside the city, than on its streets, so here’s what we filled out time with. There are some places in South Africa, especially in the Western Coast, where you can see colonies of the African Penguin. Boulders Beach is one of these places and it was one of the places we were really looking forward to get to. There are hundreds of African Penguins all over the place, some bathing, some just lying on the sand, some hatching eggs, but all so beautiful and fragile. I could spend hours just admiring and observing them. Mistakenly thought to be the most southeast point of Africa, the Cape of Good Hope is one of the major attractions of the Cape Town area. It’s a beautiful coastline, natural reserve, where you have the chance to enjoy a sunny day. There are several hiking or biking trails, but you can also get there by car. Going up the Good Hope cliff will give you a breath-taking view over the coastline and the ocean. On a clear day you will see miles away. Not to mention that wild animals are still running freely everywhere you look, so prepare to see especially all sorts of baboons (who can be quite dangerous, so try not to get their attention). Robben Island is an island close to Cape Town, where a political prison existed during the Apartheid era. It’s also the prison where Nelson Mandela was imprisoned for part of his punishment. The prison is now turned into a museum and you can have a guided tour of the place. It’s an important history lesson for someone who wants to understand what happened in South Africa. The guide of the prison is usually an ex-political prisoner, someone who actually lived the experience and can give all the details of how was life in prison. The West Coast National Park is a perfect destination for a weekend outside the crowded Cape Town. Hiking, biking, bird watching, incredible fauna and flora, this place is ideal for a getaway. We chose to spend one day at the beach here and we went to the Kraalbaai Beach. A very nice small beach, with almost no one around us, with warm water and perfect weather. The water here is warm because the beach is actually on the Langebaan Lagoon, not exactly in the Ocean. For us it was such a nice and relaxing day, doing nothing, being so quiet around us. We chose to go to the Aquarium because we were in the city and we said no to staying in a long line to get to Table Mountain. The Aquarium is not something very spectacular, it’s quite small, but if you’re with kids and you want to get their attention on something, this would be a good option. Besides the Cape of Good Hope, Table Mountain is one of the most important destinations when in Cape Town. Still, we decided to admire it from below and not go up on it, although we were lucky enough to have a perfect clear sky (which I heard doesn’t happen too often in the area). But the line to go up the mountain was so long that we preferred to do something instead. One night we went for dinner in a very nice restaurant in Cape Town. The Codfather has no menu, just a glass case with fresh fish and sea food. Your waiter explains what’s on offer for the night, you chose what you would like to have and then, everything is cooked and brought to your table together with side dishes.